Yet another game got a new version just in time for the holidays: Warsow - a futuristic cartoon-like first-person shooter - 0.6 was released yesterday featuring 6 new maps and a new gametype: the well known "Capture the Flag". Warsow 0.6 also comes with a new soundtrack, re-textured maps and weapons for improved visuals, higher framerates thanks to greatly improved engine performance and many other new features and improvements - see the complete changelog. 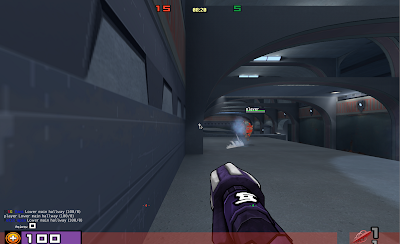 Download Warsow (free) - available for Windows, Linux and Mac OSX. To run it on Linux, download the Unified ZIP, extract it and double click the "warsow" file.